Day 80 – Tourist Time! Take two for the cemetery today! Roger’s wife arrived late yesterday and a new student at the school too, so both joined us today which was great. We had breakfast at the school (Roger’s wife had bought Swiss chocolate – what a hero!) And then we got a taxi to the cemetery. 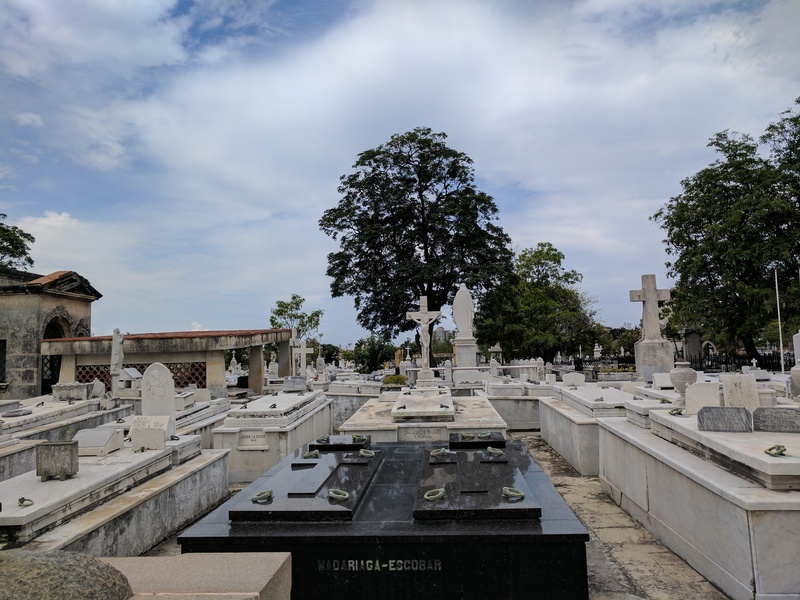 The cemetery is massive. It is where people are buried today. Currently there is approximately 2.5 million inhabitants! The grave stones and crypts are amazingly beautiful. There are roads running through the cemetery it is that big. 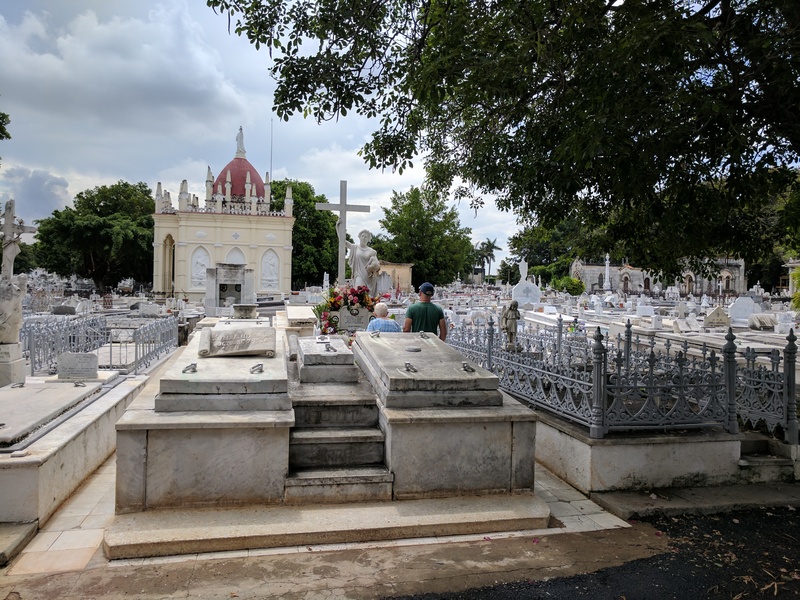 A guy found us in the cemetery and gave us a mini tour and some stories about the important graves. 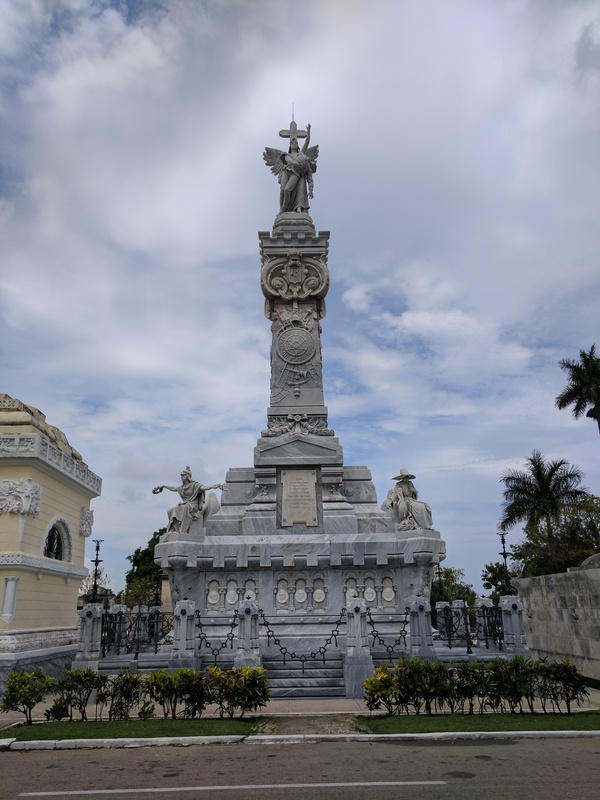 We had the story of the tallest and most important there and the explanation of each of the symbols on the sculpture to the funniest story of death by dominoes (only in Cuba!). My favourite story was Amelia…. Everyone loves a bit of superstition! So Amelia fell in love with a guy in a lower class and station than herself so naturally it was forbidden….they got married anyway (as all stories go!) And he went away to war. She found out she was pregnant but unfortunately the baby died and she died whilst the doctors tried to save her. As per the tradition she was buried with the baby between her legs. Six years later a sculpture was commissioned of Amelia holding the baby and was put on her grave. Another five years passed and her husband now returned wished to see her one last time and asked for the grave to be opened…..on opening the grave, they found Amelia in perfect condition, looking only to be asleep and the baby no longer between her legs, but in her arms like the sculpture! From then on her husband believed her to be only sleeping and so the tradition began that he would knock on the grave three times to wake her, touch the baby in the sculpture and make a wish then walk around the grave stone anticlockwise but never with his back to Amelia. People from all over the world have done this, many many times over many many years and loads of people believe it to be lucky and to grant wishes. Naturally I had to try it before reading the plaques. 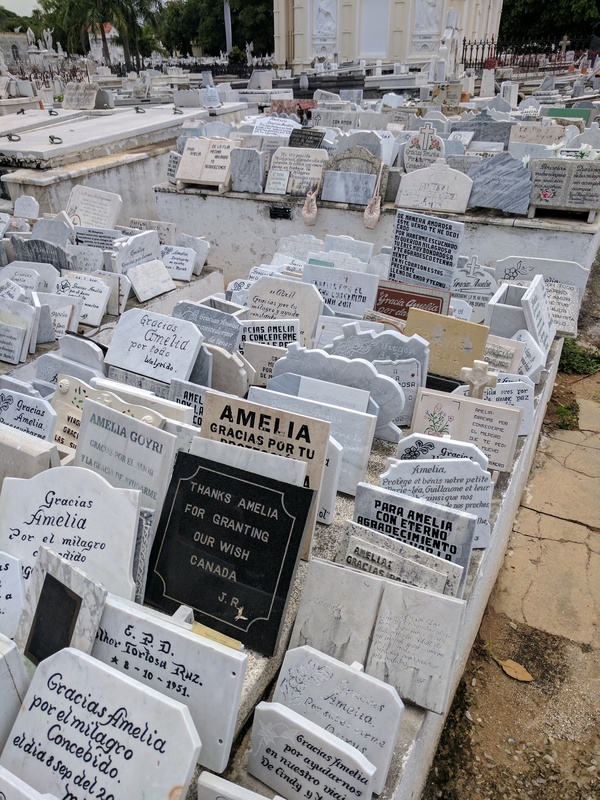 There were so many plaques from so many countries thanking Amelia for granting them children, making someone healthy, granting them love etc etc. It’s always bizarre but quite inspiring to see. 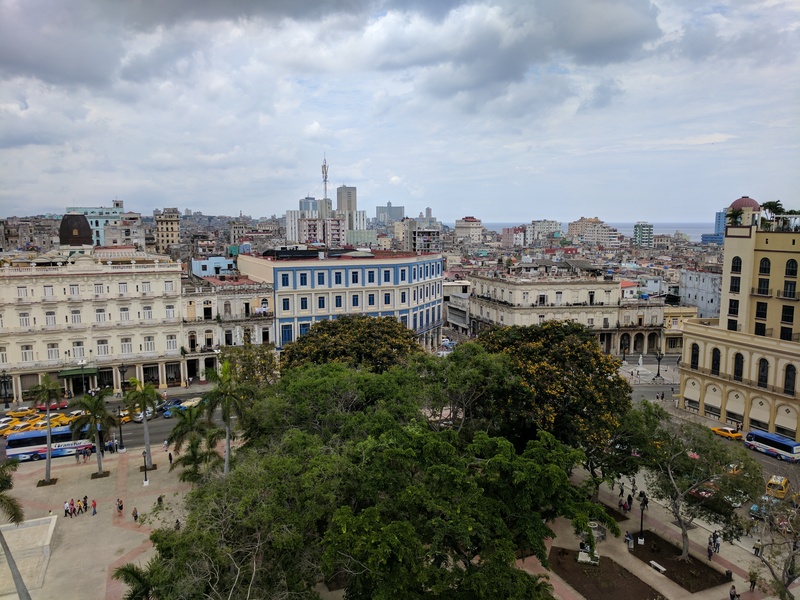 Next up we headed to the old part of Havana. After getting out the taxi we headed up to the roof bar of one of the nice hotels (it has an awesome pool up there! ), We got a drink and took in the views. It was quite stunning to see the new builds, the well maintained against the crumbling and old buildings. 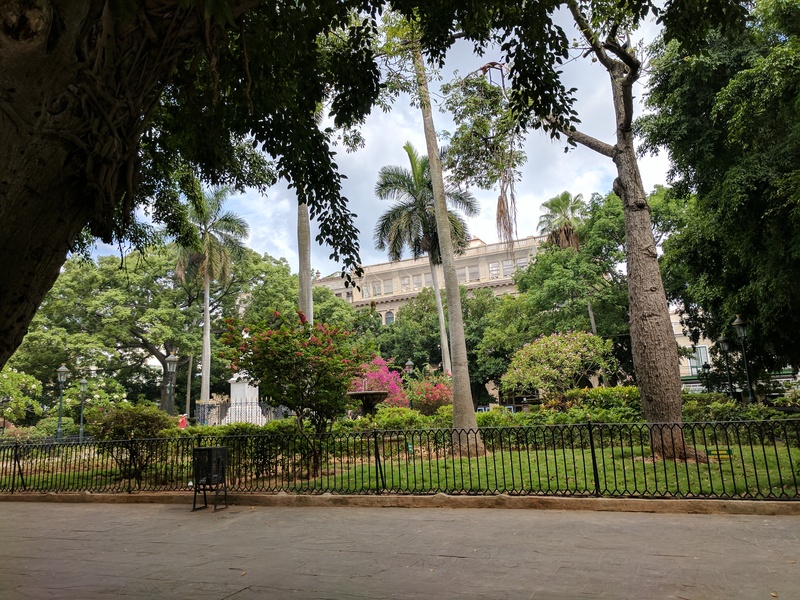 We wandered round the old town listening to live music, visiting the markets, looking at street art, smelling the smells of Cuba (99% gross I can assure you). After a while we decided to be real tourists and pay for a half an tour in one of the classic cars – it was really good! 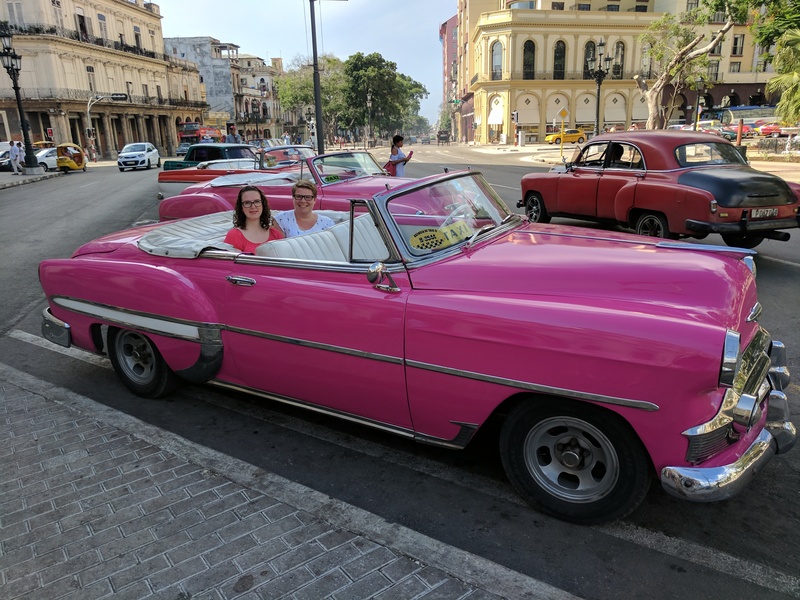 The sun was bright and I had to squint a fair bit, but it was the best maintained car I had been in in the entirety of Cuban, so it felt special! 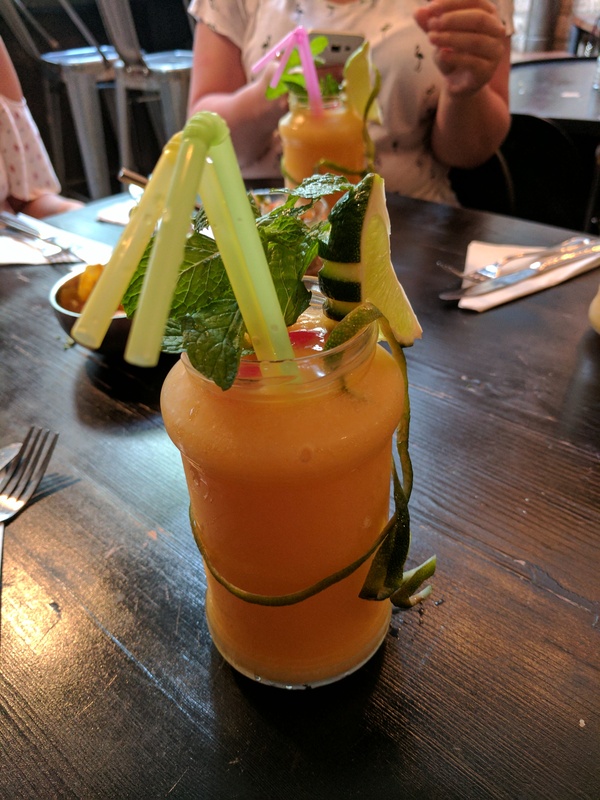 Finally we went for dinner (tapas yum) and I had the world’s largest but tastiest mango daiquiri…. The taxi ride back was amusing. The driver had no idea where to go and we were stopping and asking locals at every street. Add to that the usual breaking to bits car and it’s a good laugh. When we got out I ended up walking the new student Jessica home as she couldn’t remember where she lived so by the time I made it back to my place, I was more than ready for bed before my last week of school starting tomorrow!